Archisha Rana is currently pursuing B.Com course from Gargi College. She is in her first year. She belongs to Dehradun. She has done few internships. She worked as a social media intern for a start-up called Tredily. Also, she worked as a campus ambassador for a event management start-up named HappyShappy. She holds a basic experience in social media marketing. She has a keen interest in reading. She is a dedicated and devoted person. 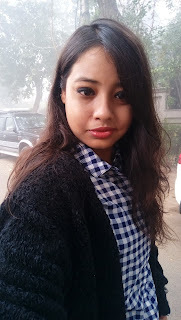 About Alfabloggers.com (http://www.alfabloggers.com):AlfaBloggers.com is such platform that welcomes all the members who are active on their social media sites and could earn money and they get benefitted with nice experience of being a part of this company. Especially the woman who is at home can take this wonderful opportunity. There are a number of blogs for this company such as www.AnxietyAttack.com where all the motivation blogs can be written and help readers to guide on a rightful path. www.Flying-Crews.comis our core Aviation HR Ventuure you will be working upon. 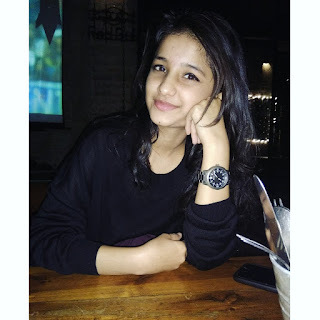 Anoushka Dayal, presently settled in Raipur, is pursuing graduation in Information Technology from National Institute of Technology Raipur, 3rd year. She is that kind of girl who loves taking responsibilities and completes the task before the deadline. She is hardworking, have good communication skills, confident, committed to do the task and love learning new things. She would use every opportunity to learn. She has an exceptional vision towards life and welcomes everything life throws at her, let that be a bundle of joy or a heap of sorrow. Also, she is independent about her own thoughts and has her own way of doing things. "Don’t look for the next opportunity, rather than waiting for the next opportunity, the one in your hands is the opportunity."